I had the pleasure of attending Buffalo State along with a number of other Korean Conflict (it was a war) veterans graduating in 1959. We formed the Vet’s Club, keeping us together with our military backgrounds as well as age-wise, while fitting in with the other students. Many of us had been away from studies four years or more but the transition was made easier via our Vet’s Club relationship. Graduate studies at Syracuse university followed undergraduate work at Buffalo State. 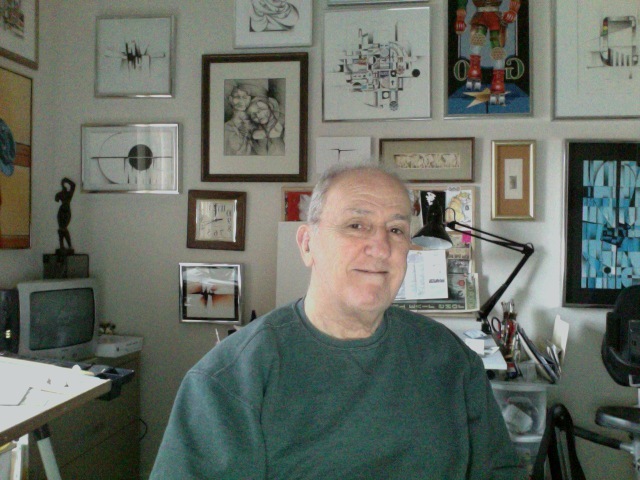 I taught art and photography in the North Syracuse public schools for 26 years ending my teaching career at LeMoyne college in Syracuse as a member of the Fine Art department. In Syracuse along with other teaching/practicing artists, I exhibited frequently. Now retired in Michigan, near family, I try to work at least a few hours each day, exhibit infrequently but still enjoy the daily challenge of producing visual images and look forward to continuing to do so in the remaining years.